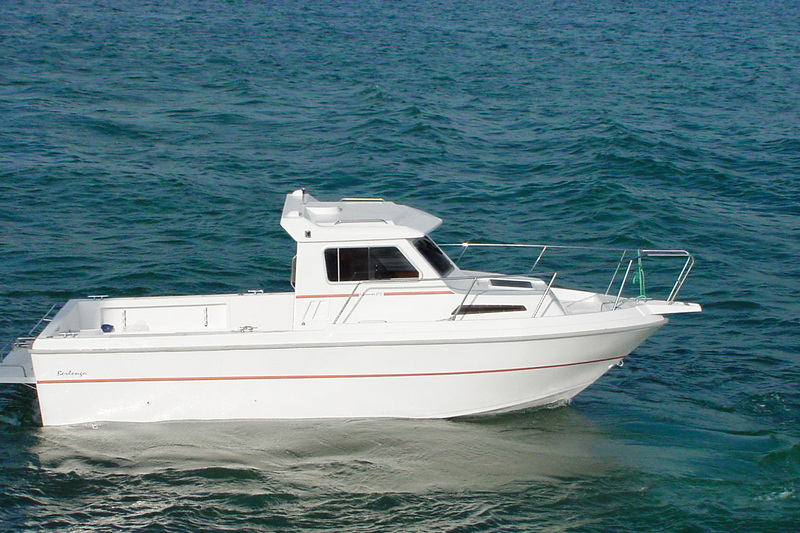 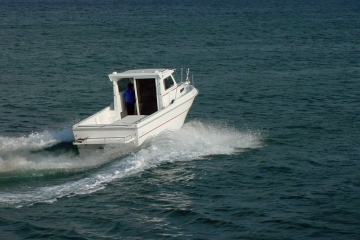 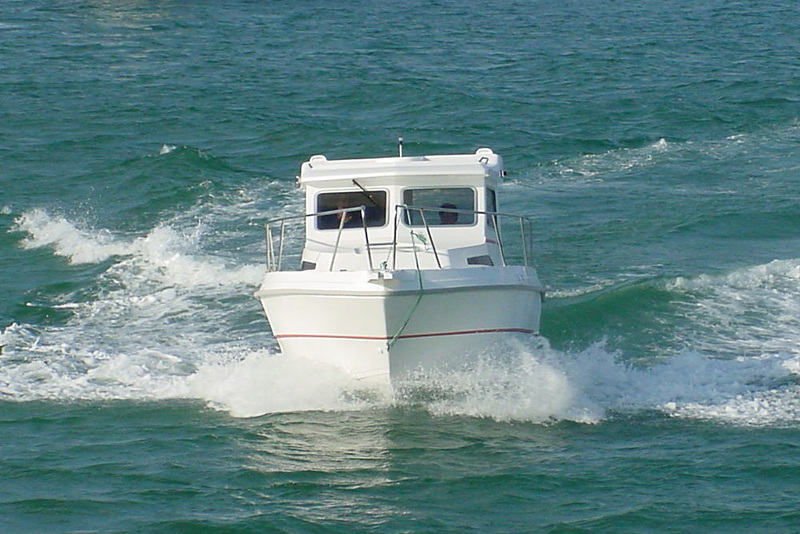 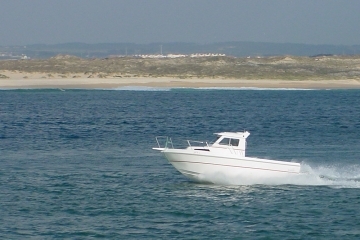 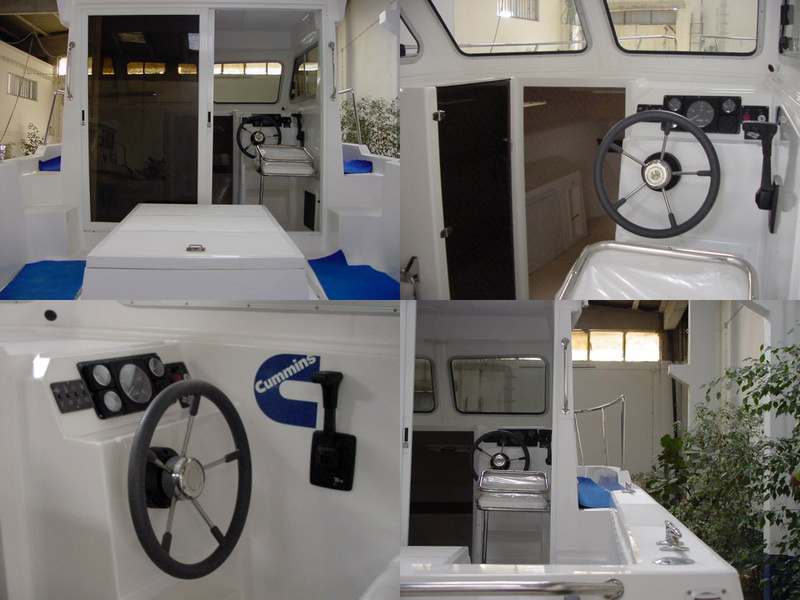 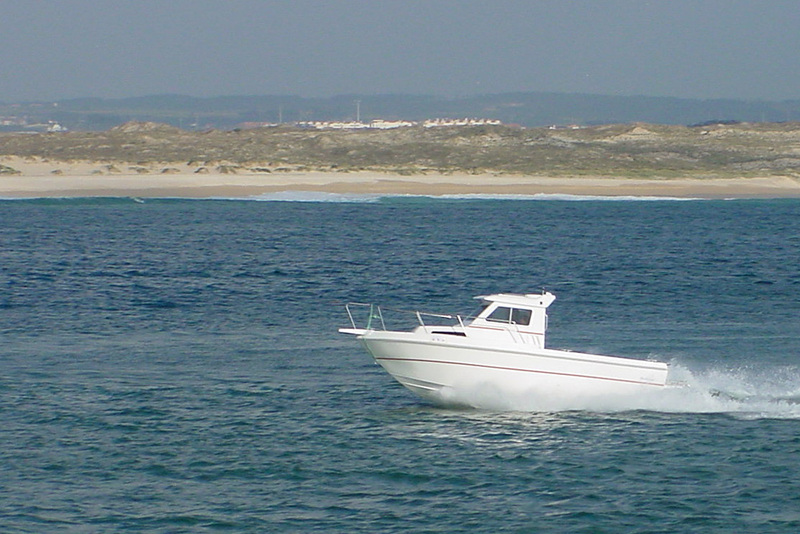 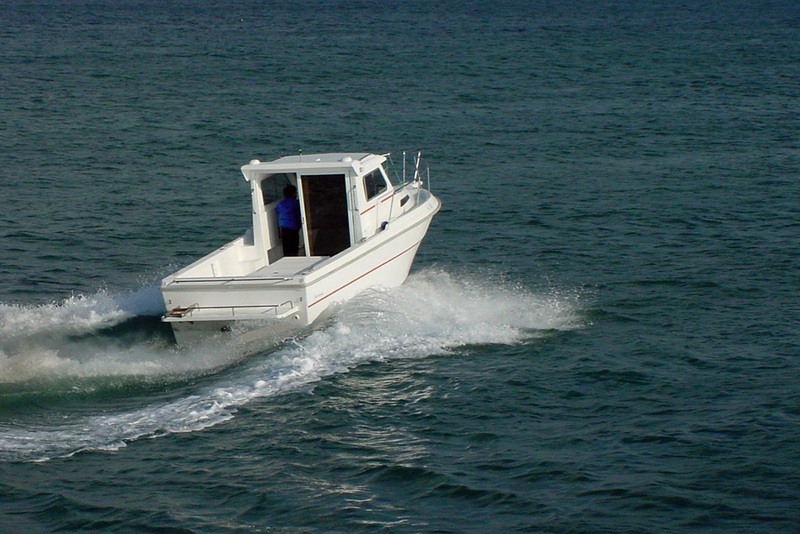 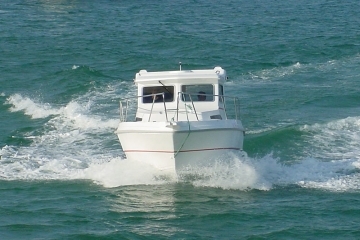 The stability and harmony of its lines allows not only huge seaworthiness as well as a high comfort for your crew. 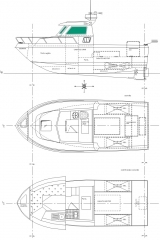 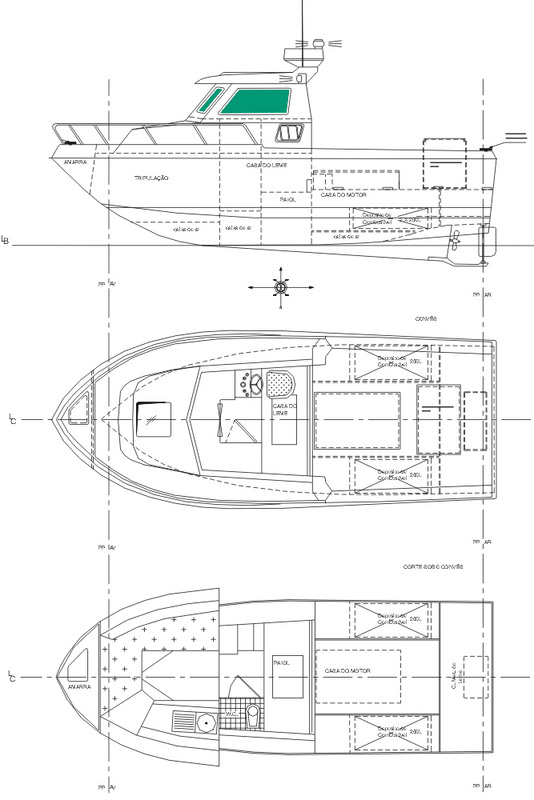 The 720 Berlenga, with 7,2m long and 2,8m of beam has excellent physical characteristics to navigate with any sea conditions. The cabin is wide, functional and isolated from the outside by a sliding door. 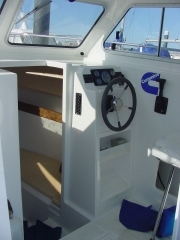 Inside the cabin, on port side there’s a sitting area with a built in bench for two adults and on starboard there is the cockpit. The design of the interior is one of the strengths of this model. 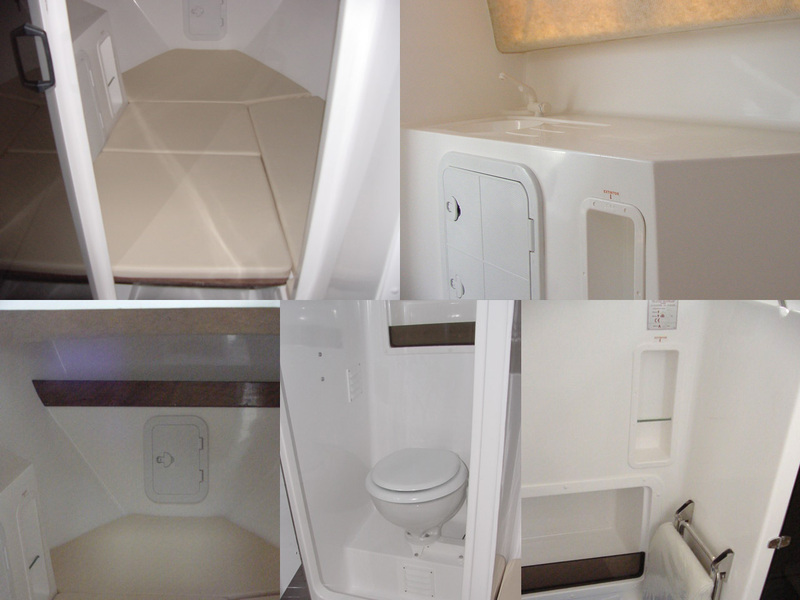 The interior cabin is composed by a simple V couch which can be converted into a bed and small shelves around the entire perimeter.